While everyone patiently waits in limbo for Tyus Battle’s draft decision, Syracuse basketball will find out another important offseason decision tonight. It’s finally decision night for 2018 center Osun Osunniyi. Standing 6-10 and 185 lbs, Osunniyi is a raw big man with loads of potential. The Putnam, Connecticut native didn’t start playing basketball till only four years ago and is not ranked on any major recruiting sites. He has untapped ability on the defensive end in terms of shot blocking and with some strength training would have great measurables for the anchor position of the zone. Here is a link to his senior year highlights. 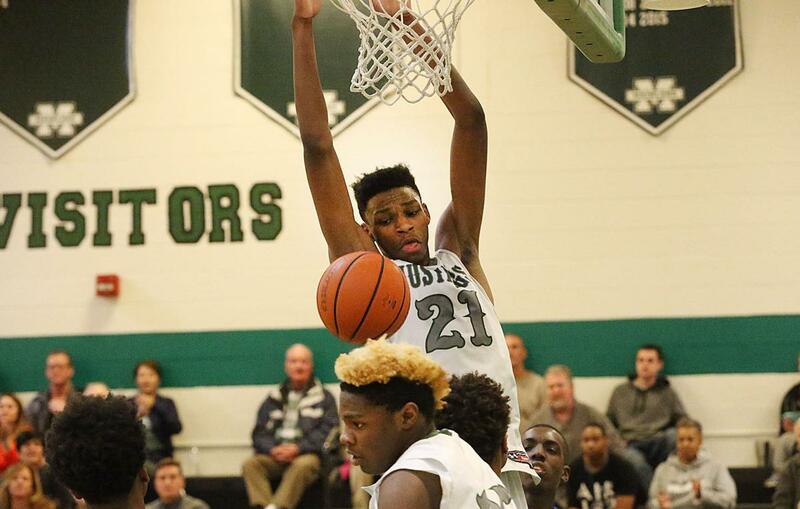 Osunniyi will be picking between Syracuse, St. Bonaventure, and Georgetown on Monday night. He originally committed to play ball at nearby La Salle but ultimately decommitted after La Salle fired it’s head coach this offseason. 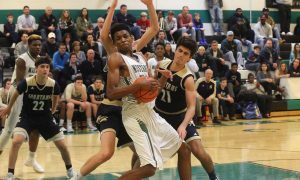 Gerry McNamara, his main recruiter, noticed Osunniyi’s potential at the 2018 National Prep Championship game, which was played on March 8th. At the time Osunniyi was committed to La Salle, which meant NCAA rules prevented McNamara from recruiting him. The SU assistant was there to see Osunniyi’s teammate, 2019 forward Akok Akok, according to 247sports. However, Osunniyi complied 27 points in his team’s title game victory and clearly caught McNamara’s eye. Within a week of decommiting to La Salle, Syracuse had already offered the under-the-radar big and Osunniyi took an official visit to the campus just 10 days later on May 10th. Osunniyi is going to announce his decision tonight during the PSA hoops national championship dinner. Considering his raw skill set, it’s possible if Osunniyi selects Syracuse he would then redshirt next season. However, SU could really use his help in 2020 and beyond, especially considering Paschal Chukwu is entering his final season of eligibility and center depth is not exactly looking strong at the moment. The Connecticut native is the type of four-year player that could be considered a huge steal down the road. He would be the fourth member of the 2018 class for Syracuse. Joining Jalen Carey, Buddy Boeheim, and late add Robert Braswell. OrangeFizz will have live updates of Osunniyi’s decision tonight on twitter. 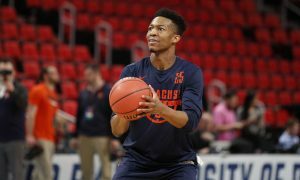 5/22 FizzCast: SU Gets Osunned, Tyus Battle Combine Update and Troughs or No Troughs?